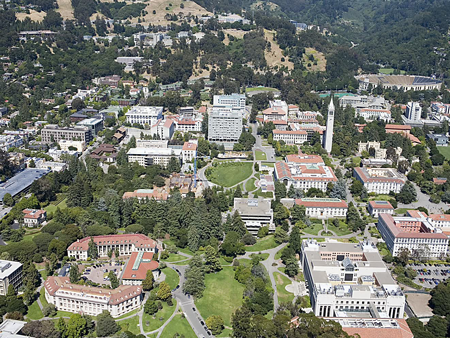 Free Berkeley Haas MBA Essay Samples | Aringo consultants are the top in the world! Berkeley Haas MBA Essay Example #1---Question: Give us an example of a situation in which you displayed leadership. (500 word maximum). One of the most difficult situations I have ever had face during my tenure as VP of my company was the decision whether to fire Jane, an experienced employee, who I had worked with closely for two years. The decision arrived at my desk after a new CEO was appointed, and I became his VP, in charge of most employees. Together, we decided that we were going to transform our small and quiet company into a leading research firm with a target of 50% sales growth over the next 2 years. For that, we needed a devoted team that was committed to this goal. This vision did not fit Jane. She left a large corporation where she worked long hours, and one of the main reasons she chose to join us was the laid back and relaxed atmosphere of a small company- exactly what we were determined to change. Although talented, she did only the minimum necessary, and was not willing to make any sacrifices and commit to our goal. On the other hand, not firing her would mean establishing double standards for our employees – most were required to work hard, whereas Jane was leaving early and refused to contribute extra efforts. Her opposition to the change had already begun creating undesired effects, as a few of the employees resented her. In order to solve the problem, I tried to make Jane relate to the new goals and change her attitude. In addition, we also improved the company’s bonus program, based also on her comments, in order to reward the extra efforts. When all milder measures failed, I had to make a decision. I decided to fire Jane. Although I knew that in the short run things would be difficult, I concluded there was no other way. I needed the most dedicated team possible, a team who was personally committed to the growth of the company. Jane, as head of a major division, would have undermined this effort in the long run. Personally, making the decision was very hard. It meant firing someone with whom I had worked with closely for a long time. However, In terms of team spirit, matters improved greatly, and we succeeded in building the right team to lead the company forward. The new division head that replaced Jane was a highly motivated manager, and with her I had a team that could reach the ambitious goals we set, and indeed, in two years we have doubled the company’s project capacity, with a great improvement of research quality and customer satisfaction. Berkeley Haas MBA Essay Example #2---Question: At Haas, we value innovation and creativity. Describe a time when you created positive change in a group or an organization. (250 word maximum). When I entered my current position, as VP of Content and Service at our company, I knew I would need to make changes in the company’s structure and methodologies. Up till then, the company was a “one man show”. The previous CEO had worked directly opposite all analysts, and no middle management level existed. In addition, no organized work processes and research methodology existed: the company relied solely on the analyst’s personal abilities, which caused inconsistency in projects’ quality, and customers’ dissatisfaction. In order to create a middle management level, I hired nine new employees. In order to improve both client management and research quality, I introduced new positions such as client manager and research manager for each division. I also spearheaded the formulation of a new research methodology by building a global network of industry experts and developing research capabilities in multiple languages. This methodology enabled us to provide much broader and deeper insights, and gave us an edge over our competitors. After two years we had doubled revenues from research projects, and established the company as a brand name for quality research. The process also created a fundamental change in our team’s morale. Our analysts felt that they had an established apparatus to guide them through complex projects while receiving professional feedback. It also made training new analysts easier, as we had a solid methodology for them to follow. The result was a much more motivated and committed team. Riots burn cities. Ideas build bridges. I found my calling in the middle of a crisis – the Bangalore Riots of 2016. On my way home from meetings for my telemedicine startup, I was blocked by an angry mob that had set fire to a bus. Having just returned from Australia, I was deeply pained by not being able to move freely in my own country. Soon a curfew was imposed, and the city came to a standstill. The stranded thousands were in need of supplies and medical help, but with the city on lockdown, were unable to get it. I opened an emergency medical line through my startup, but its reach was limited. I learnt through social media that there were others in my position – with resources to offer but nowhere to direct them. I couldn’t shake the realization that in a world where we are leveraging technology to solve every problem, we hadn’t yet used it to organize the flow of goods and human resources during disasters, which have affected 1.7 billion people in last decade! Following the riots, I founded Operation Resilience, a first-of-its-kind national platform designed to crowd-source and streamline $1.2 billion in disaster-relief supply-chain. After much endeavor, I managed to win support of the Ministry of Home Affairs, various NGOs, and startups. Recognized by India’s Government as a “Top 10 Innovation in Disaster Management,” the self-sustaining platform is set to become operational by February 2018. I was born into an advertising legacy – a company founded by my grandfather and chaired by my father, which is the third-largest advertising group in my country. Our family business was integral in my upbringing – its employees, the first people to challenge my creativity and problem-solving skills. At age nine, in exchange for earning high grades, my father allowed me to become the firm’s most junior account manager, helping in any administrative task I could. My first campaign was no ordinary milk ad, but the first-ever TV commercial to be filmed in outer space. My dad took me with him for the Moscow space center shoot. I remember tears of joy running down my cheeks as I peered through dozens of small monitors at the cosmonaut bubbling milk through space and into his mouth. To me, our milk in space commercial epitomized what our company should always be – a company that dazzles the imagination, a company of firsts. I see it as my highest personal and professional calling to ensure that our company does not settle into mechanical, well-defined advertising processes, as other agencies have. To keep our talent, ensure customer value, and maintain our competitive edge, we must upsize our efforts to ensure our company remains a leader in innovation, a company of firsts. My mission is to lead our company, the companies we represent, and the employees who’ve tied their fates to us into the digital age, securing a prosperous future for all. Berkeley Haas MBA Essay Example #5---Question: Respond to one of the following prompts: (250 words maximum) A. Describe a significant obstacle you have encountered and how it has impacted you. B. Describe how you have cultivated a diverse and inclusive culture. C. Describe a leadership experience and how you made a positive and lasting impact. Leading 8 engineers with no healthcare or consumer product experience (myself included) in creating a more ethical terrain for online medicine in India isn’t impossible, but it did require starting from scratch twice. Our first product failed to break into the market because it didn’t answer physicians’ most pressing needs. I realized that our technical acumen would be worthless if we didn’t strive to identify and pinpoint market gaps as a unit. So, while re-gaining my sea-legs, I addressed this problem by leading through example. I conducted field research in the day and learnt coding at night, encouraging my team-mates to start thinking beyond their stated roles. One-by-one, I took them all to survey patients and pitch product to doctors, so that every team, from operations to technology, could share the common context of the healthcare sector’s ground realities. With team-members aware of the market and contributing ideas, our team was reinvigorated and our coordination vastly improved. Our new-found approach helped us spot a niche market for streamlining follow-up consultations between doctors and patients with existing relationships. The resulting telemedicine venture was a step change innovation over existing platforms, which turned profits by renting ad space to less experienced doctors. Our ethical, ad-free model attracted Bangalore’s top-rated doctors with 2.5 times more experience than those on other platforms, serving over 7,000 paying subscribers. We knew our model had made India’s telemedicine ecosystem turn toward an ethical, user-centred path when several competitors, including Practo ($650M valuation), tried to imitate our model.